Electric bicycles in Istanbul and other major cities of the country, especially in all cities gradually began to be used. Although electric bikes generally have the intended use of the advantageous and disadvantageous according to environmental conditions can be. To do this, you should know very well the technical specifications of electric bicycles. 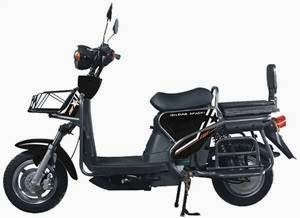 Prices of electric bikes between 1500 and 3000 pounds is. This option prices on used cars and motorcycles can also get zero. However, environmental sensitivity and economic importance to both fuel and electric bike if you should prefer giving. Electric bikes 500, 1250, 1500, 2000, 2500 and 3000 watts of power have. If you want a strong electric bike with a high-wattage models should be preferred. Now let me list the general characteristics of electric bicycles. Usually 25 to 45 km / h do. Range varies between 40 km and 100 km. Carrying capacity varies between 80 kg and 150 kg. For now, there is no need license. According to the instruction manual should be used for entertainment purposes. So you should use the main road. Battery up to 8 dollars per hour.